When you’ve got multiple home projects on your home contractor’s schedule, SEO might be relegated to the back burner. Unfortunately, not tapping into today’s latest SEO solutions can be a major marketing mistake — one that will leave your business in hot water. Research shows that spending on social media is expected to jump from a little more than $11 billion in 2008 to more than $79 billion in 2020. That’s sevenfold growth in a little more than a decade. In a world where people turn to the internet to find home improvement contractors, you want to make sure you show up in the search. 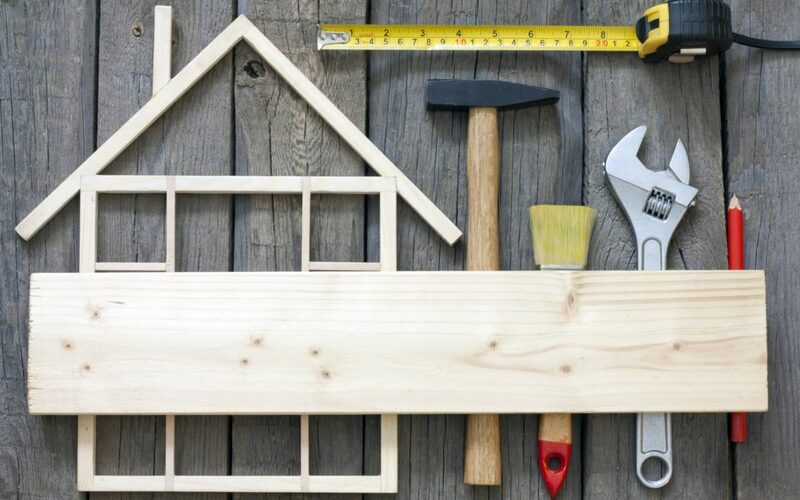 Here’s a list of seven SEO solutions for home improvement contractors. Let’s say a homeowner is looking for custom bathroom ideas. She can simply type in “general contractor near me” to see who can make her dream bathroom a reality. This trend has skyrocketed over the past several years, and it doesn’t appear to be coming to a stop anytime soon. In this way, if you are a Florida-based home improvement contractor, you can get leads from your local service areas, not from those in Minnesota, for instance. Customers are looking for immediate answers to all of their searches. They’re also looking to work with local contractors they can trust. If you haven’t capitalized on local SEO solutions yet, the home improvement contractor across town may end up getting more eager customers to call him first instead of you. And there goes your bottom line. Another important move? Take full advantage of social media for your business. A large percentage of your customers are on social media. Doesn’t it make sense for you to have a strong presence there? If you want to be deemed the authority in your industry online, it’s not enough to focus just on drawing customers to your website. You also need to go where they are. With social media, such as Facebook and Instagram, you can easily share your craft-related knowledge as well as build and maintain relationships with customers. Just be sure to keep posting on your social media platforms, rather than setting up your page and hardly touching it. Trust us, people are watching. And so is Google. Speaking of Google, this top search engine in 2015 released a large PDF of its unique guidelines for search quality. Online marketers may not know all of the ranking-related factors that are part of the search engine’s highly desired search algorithm. However, the 160-page guide is the closest thing to it. In that sense, it’s solid gold to today’s online marketer. The more you understand and follow this comprehensive guide, the more likely you are to consistently claim the high rankings your contracting company desires in 2018. Research shows that more individuals are performing Google searches on their mobile phones versus other devices, such as desktop computers and tablets. In other words, if you still don’t have a website that is smartphone friendly, you might as well be doing business in the Stone Age. Fortunately, a qualified provider of SEO solutions can get your home improvement contracting website current or create for you one that today’s avid smartphone users can easily access. Website optimization. It’s a term you’ll hear a lot in the SEO world because it’s so critical to your company’s online marketing success. An important question to ask yourself when it’s time to optimize your company website is, what phrases and words do your prospective customers utilize while on the prowl for the types of services you offer? You need to focus on pinpointing the top keywords for your home improvement contracting company and then determine how hard ranking for them will be. This sets the tone for the remainder of your marketing strategy. This will help search engines to understand what topic your website’s pages are covering and rank these pages in their results for related user searches. Sure, optimizing your website’s pages is an important part of SEO, but so is creating new pages featuring original content. Your home improvement company can offer pages that feature answers to the common questions you get. You can even offer remodeling project ideas or address concerns you often hear from customers. Content is king in today’s SEO landscape. It’s critical that you offer fresh content regularly. Most importantly, it needs to be high-quality content if you want high-quality leads for your business. A search engine’s goal is to provide its users with reliable information. The most effective way of doing this is to determine how credible your website is by examining the links directing people to it. The higher the number of links your site has from other websites that are reputable, the higher your search engine result rankings will be. In light of this, building links represent a critical part of online marketing, although it’s not an easy process. The process involves reaching out to bloggers, journalists, and editors and convincing them that you’ve got content that may pique their readers’ interest. This actually further confirms the point we made earlier about content creation. The owners of other reputable sites will be more likely to accept your content on their pages only if your content is high in quality and interesting. If you’re not embracing SEO solutions, you’ll fall behind in the race to the top — the top of search engine rankings, that is. Fortunately, we offer top-notch solutions designed to help you to achieve long-lasting online marketing results. Contact us to find out more about how we can help your home improvement business to get noticed on a whole new level in 2018.